Experience the best with the elite Thunder Pro model – the unrivalled, most advanced trampoline in the world. 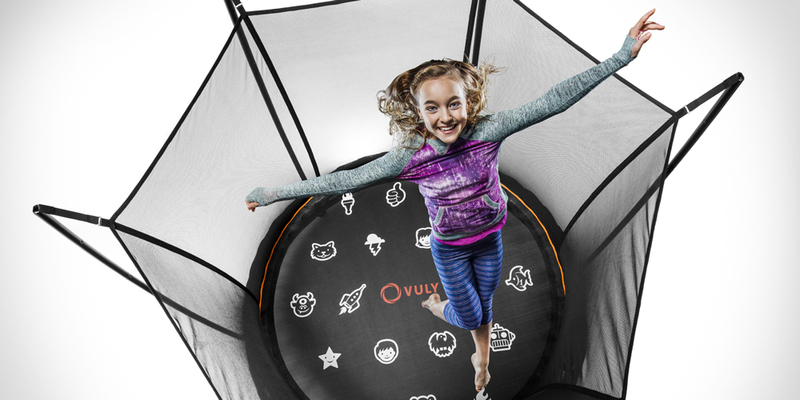 Featuring groundbreaking safety features, optimised bouncing and an iconic, streamlined appearance, this trampoline provides the ultimate bouncing experience. Lift off without fear – Thunder Pro features the tallest safety net of any trampoline in the world, but don’t let your extreme bouncing roughen you up! The soft, terylene enclosure material is gentle on skin to prevent irritation. 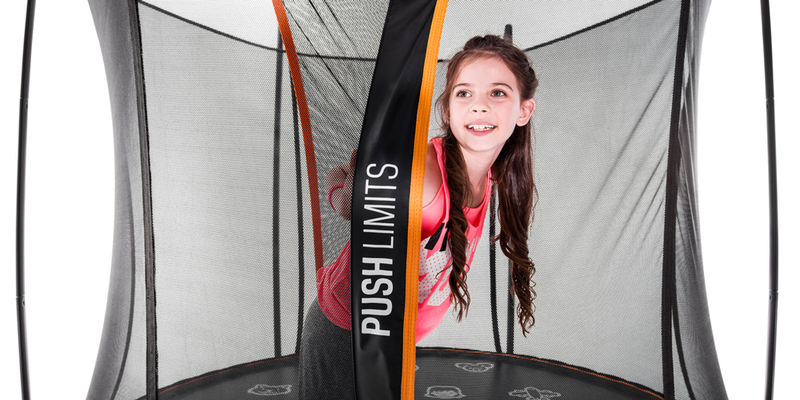 A flexible, full-length opening allows you to access the trampoline easily and safely, thanks to its zipper less design. Plus, it’s self-shutting, meaning that you can bouncing right away. The included safety skirt also prevents any little ones from accessing the underside of the trampoline, and its tear-resistant textiles stop any little fingers or toes from becoming caught. We’ve redesigned our trampoline frames to ensure that you can enjoy bouncing for even longer. Thunder Pro’s new modular safety net attaches right to the edge of the jump mat, so you can bounce freely. The pre-curved Leaf Springs, with their rivet-free design, also make installation a breeze. They also prevent joint strains for our most comfortable bouncing experience yet. Our standard nut and bolt-free installation is quick, easy and fool-proof. You can click together your trampoline in a matter of minutes, with only 9-11 different parts! Adults also won’t have to sit out once the installation is done and dusted; our 150 kg weight rating beats the industry’s usual 120 kg limit. Questioning whether the Thunder Pro is the perfect fit for your family? We’ve compared its features to our also-new Thunder model, to give you quick and easy overview. Thunder features tightly woven, UV-resistant polyethylene netting. It's best suited to a trampoline location which experiences lots of sun throughout the day. Thunder Pro’s full-sized springs offer a stronger, deeper bounce. They're also super-strong, which makes them resistant to breakage. Thunder is uses an all-new design of compact Leaf Springs, which mean that you can move your trampoline much more easily. Thunder Pro features a twice galvanised framing material, with rectangular shaped tubing and a matte black powder-coating for additional strength and protection against corrosion. Thunder offers a strong and durable bouncing foundation, with twice galvanised framing. Is Thunder Pro your perfect trampoline? Let us know what you love about it!